Welcome to recruitment success in the CEE, Baltics, Balkan and Finnish markets! 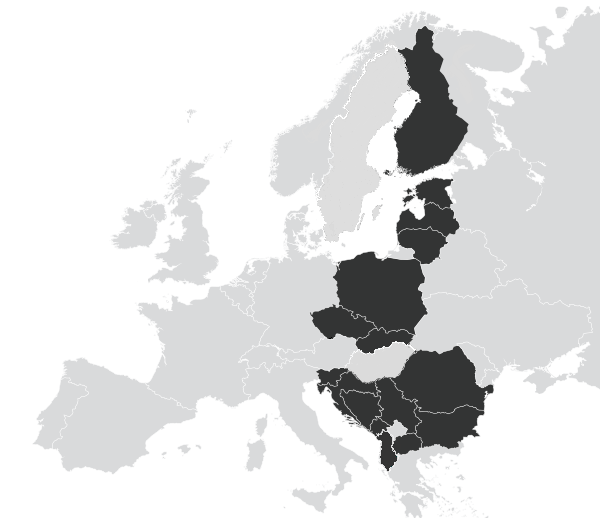 The right recruitment solution in CEE, Baltics, Balkans and Finland and beyond. Alma Career is Your 'Go-To’ if you’re looking to recruit in the richly diverse communities of Croatia, Czech Republic, Estonia, Finland, Hungary, Latvia, Lithuania, Poland and Slovakia. We’re the ‘Number One’ in almost all our markets – a 600-strong team that provides the right solution, whatever your recruitment needs. We have a network of market-leading partners in Albania, Bosnia-Herzegovina, Bulgaria, Macedonia, Montenegro, Romania, Slovenia and Serbia -giving you a truly unique coverage of the region! And we’re easy to use: one point of contact and one process - enabling you to make the right recruitment decision at the right price in the right country (in fact, we can even offer you a gateway to 50 other countries across the global job market, thanks to our joint ownership by Alma Media (www.almamedia.com) and Monster Worldwide Inc. (www.monster.com). So whether you need a Job Posting, an Engagement Campaign, an Industry Insight Report or a full Employer Branding Campaign, welcome to recruitment success in the CEE, Baltics, Balkan and Finnish markets! Alma Career is the destination if you are looking to recruit from the richly diverse communities of Croatia, Czech Republic, Estonia, Finland, Hungary, Latvia, Lithuania, Poland, Slovakia and beyond. We are the market leader across the region with a 400-strong team that provides the right solution, whatever your recruitment needs. So, whether you need a job posting, an engagement campaign, an industry insight report or a sourcing campaign, welcome to recruitment success in the CEE, Baltics, Balkan and Scandinavian recruitment markets!